We are excited to have Archie provide this guest review of her dining experience. 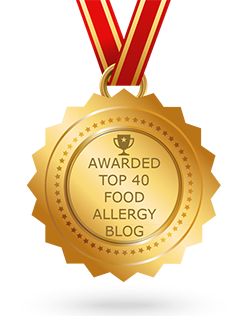 Archie is allergic to eggs, peanuts, wheat, soy, black pepper and potatoes. While traveling as a single person in downtown Disney. 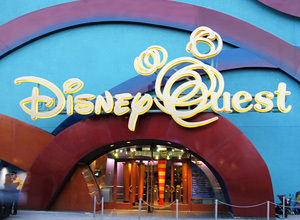 I ventured into Disney Quest. Had a wonderful time in there enjoying all the sights and sounds, and of course a few games. Even learned how to draw a Disney character while I was there. But the best part was enjoying my dinner at their cafe. I approached them a little hesitantly because I was doing it ‘single’ and didn’t want to be turned away, I was hungry. I shouldn’t have worried in the least, their staff was SO very helpful in accommodating my allergies (wheat, soy, peanuts, potatoes, black pepper and eggs) asking all sorts of questions in order for me to feel safe and fed. They even assured me of how the product was being cooked and that it had a dedicated way to do so. I even got to read the ingredients on the chicken patties to make sure that nothing was amiss. They were even accommodating as to replace the french fries with a salad so that I could have a full meal. So in doing Downtown Disney as a single person with allergies I would gladly go there again. As we would say in the Navy “Bravo Zulu” to the kitchen staff! On a side note, I did venture into Epcot but it was raining the whole day I was there, didn’t get the luxury of time to try eating there! 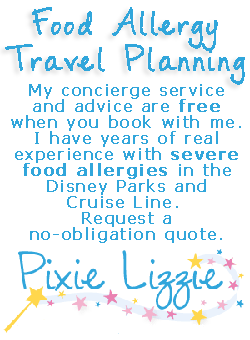 So if you are single with allergies, and doing it alone, don’t be afraid to try Disney, I know I will!